What are lactic cultures for? Probiotics and prebiotics: What exactly are they? And what benefits can they confer? "Lactic cultures do good": we have heard it so many times, from advertising to the scientific literature, that we have now acquired this certainty. What exactly is the difference between probiotics and prebiotics? And what are their functions? Quoting directly from the definition developed by the FAO (Food and Agriculture Organisation), we can define probiotics as live organisms " that, when administered in adequate amounts, confer a health benefit on the host." 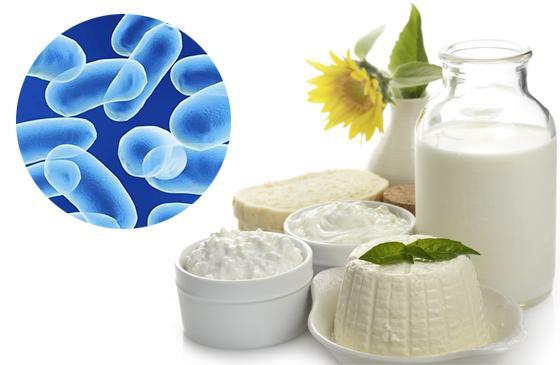 prebiotic bacteria: this term generally indicates some food substances that can be exploited by bacteria helpful to humans and able to promote their growth and activity. Lactic cultures contribute to rebalancing the intestinal flora thanks also to their ability to maintain a proper degree of acidity (pH). Incorrect diet, antibiotic treatments, stress etc. can in fact create an imbalance in the intestinal flora, leaving room for colonisation by putrefactive bacteria. The substances that are formed during intestinal putrefaction, passing in the blood, somehow "poison" it (toxaemia); that is why maintaining a proper balance of bacterial flora is in fact a fundamental support for the health of the whole body. In order for a probiotic food supplement to promote a healthy balance of intestinal flora, it must contain a daily dose of at least 1 billion live cells of a particular strain, as specified by the Guidelines of the Ministry of Health, reported in the following document. Choose among Dr Giorgini supplements containing prebiotic and probiotic lactic acid bacteria the one that best suits your needs.